Jews sans frontieres: Young Zionists censor themselves! See if you can spot the difference between these two extracts from a post that appeared on the Israeli Labour Party's UK branch website. 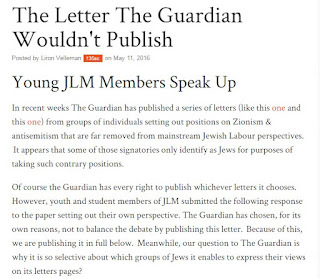 In recent weeks The Guardian has published a series of letters (like this one and thisone) from groups of individuals setting out positions on Zionism & antisemitism that are far removed from mainstream Jewish Labour perspectives. Curiously I can't access the site via google cache to check the rest of what they wrote but I had a feeling they'd excise the offensive suggestion that Jewish critics of Israel aren't quite the real thing. They're actually complaining that their letter to The Guardian wasn't published and they lament The Guardian's lack of balance. But have a good look at the letter. Maybe The Guardian was doing them a favour by not publishing it but then The Guardian's been doing the Zionists quite a lot of favours lately. 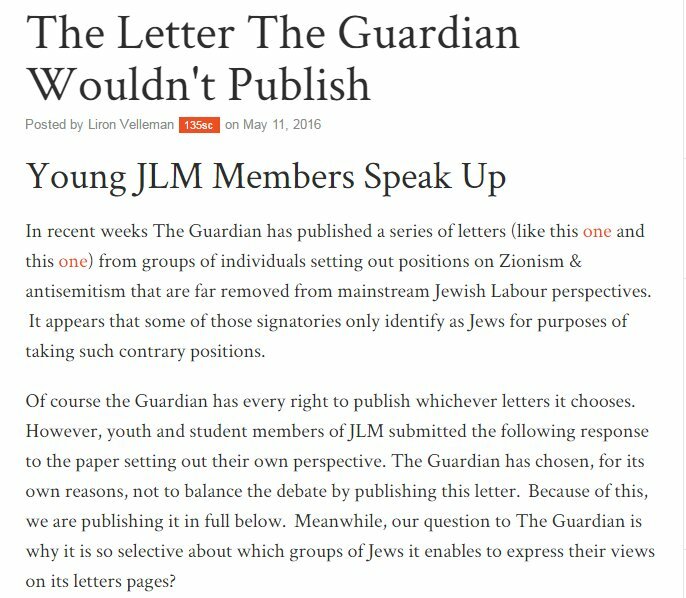 PS: The Jewish Labour Movement is a "faction within the World Zionist Organisation"